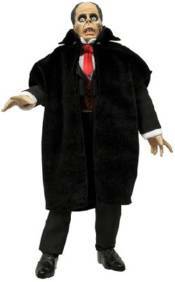 These Universal Monsters Retro Cloth Series action figures in the Mego-style are based on classic Universal Studios monster movies. They're fully poseable, stand 8-inches tall, and feature real fabric clothing. And they come in re-sealable retro-styled packaging! Ages 4 and up.